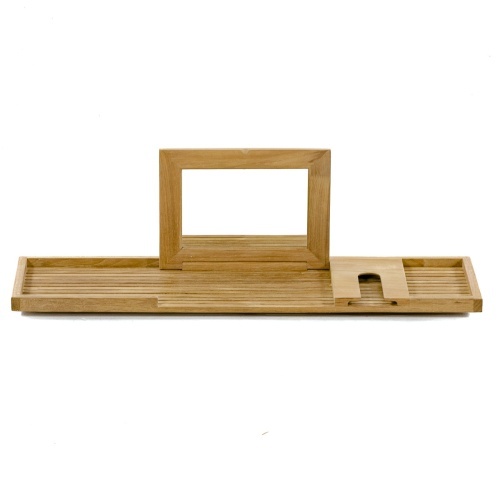 With its simple form and clean lines, the Pacifica Bathtub Tray offers one of the most versatile uses in bathroom accessories. 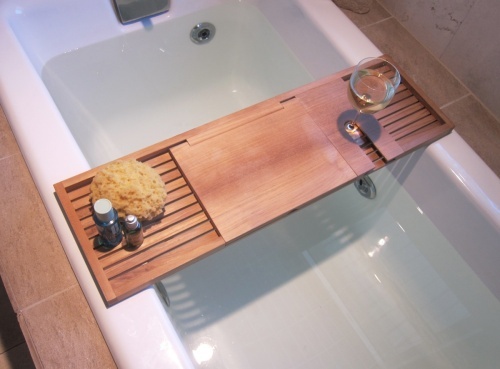 Use the flat surface for writing or catching up on your novel. 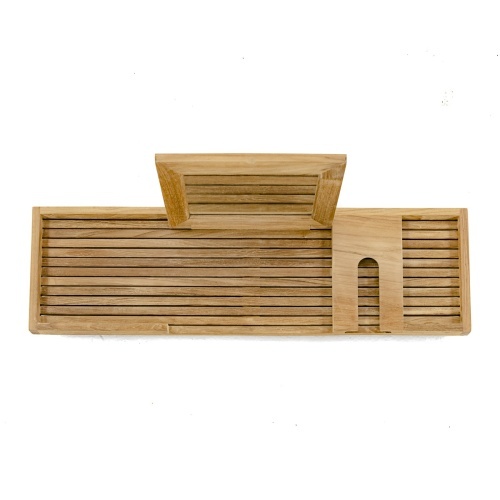 This teak bathtub caddy has ample space on both ends & will hold anything from votive candles, your smartphone or any of the additional trappings of a luxury bath while soaking in the tub. The top flips back to reveal a mirror. 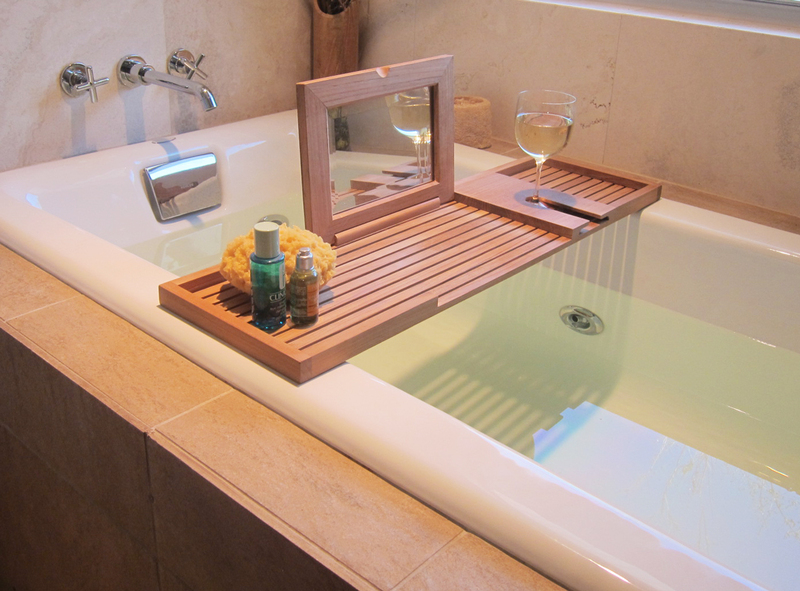 A wineglass slot ensures your glass will not tip over. 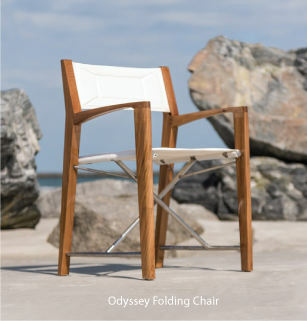 Built with 100% Grade A solid teak harvested from renewable teak plantations. 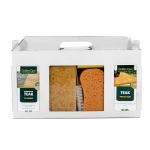 Designed to fit most standard tubs with an opening of 22 in or more. 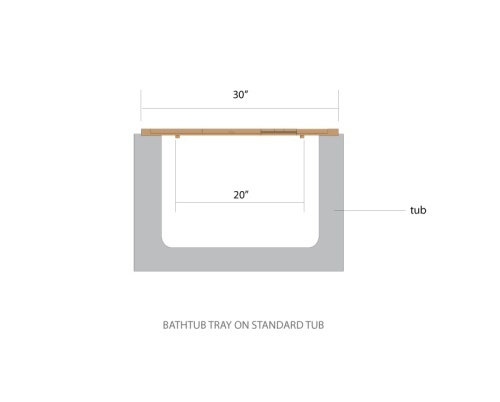 (See detailed drawing to be sure the tray fits your tub). 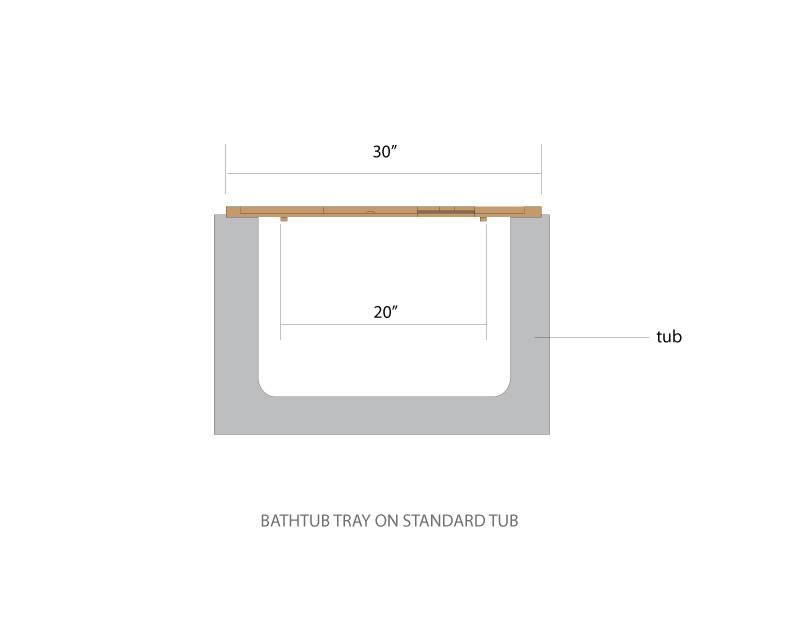 Well constructed product and fits our free standing tub perfectly. 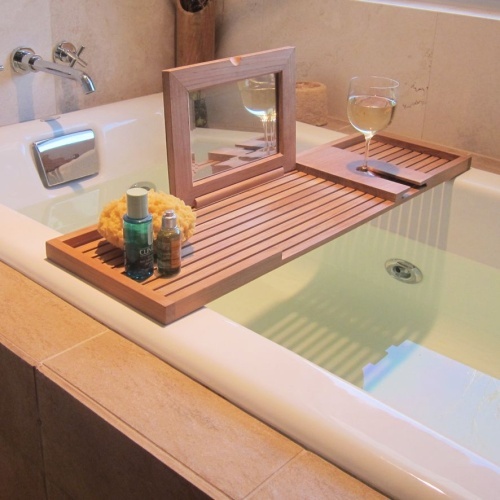 The slats of wood underneath prevent it from sliding off the sides of the tub.